GAC will import Trumpchi models including the GS5 compact crossover to Russia. 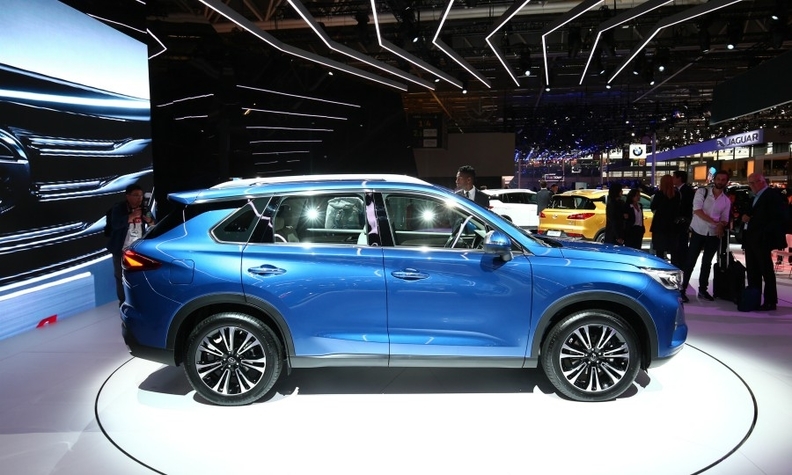 China's Guangzhou Automobile plans to start selling imported light vehicles under its Trumpchi brand in Russia this year as the state-owned automaker continues to expand globally. The first vehicle to arrive in Russia will be the GS8, a seven-seat SUV. It will be followed by the GM8 multipurpose vehicle and the GS5 compact crossover, GAC said. Last week, GAC displayed the three vehicles, along with five other products, at the St. Petersburg auto show. It also opened a subsidiary in Moscow to oversee operations in Russia. The automaker expects to recruit local dealers to distribute vehicles in 20 major Russian cities over the next three to five years, GAC said. GAC, headquartered in the south China city of Guangzhou, launched sales of its first passenger vehicle, the GA5 compact sedan, under the Trumpchi brand in 2010. It began exporting vehicles from China to other emerging markets such as the Middle East and Latin America in 2014. GAC has repeatedly participated in the Detroit auto show in recent years. But due to the trade dispute between China and the United States, the company has delayed plans to launch sales in North America. In 2018, GAC delivered 535,168 sedans, crossovers and SUVs under the Trumpchi brand, a gain of 5.2 percent from a year earlier. The state-owned company also runs passenger vehicle joint ventures with Toyota, Honda, Mitsubishi Motors and Fiat Chrysler Automobiles in China.